PALH has Kindle editions of the following books. 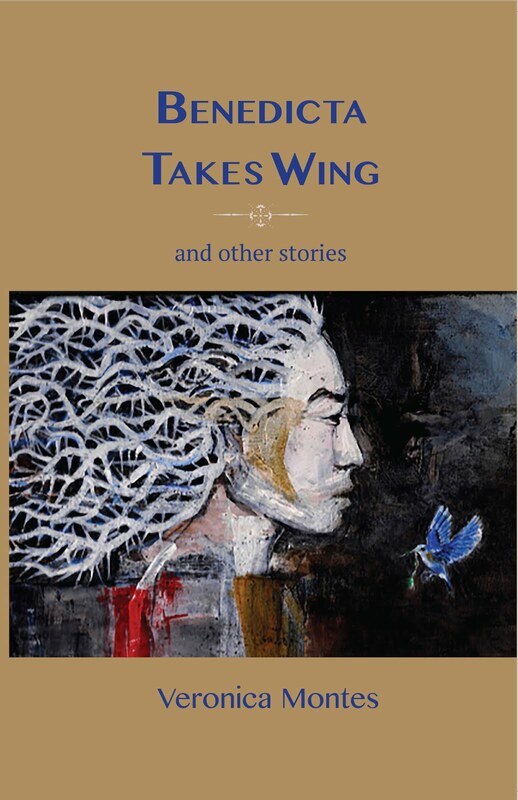 A collection of seventeen enchanting Filipino short stories which the author has grouped into four categories: Long Ago Tales, Stories from the '60s and '70s, Stories from the '90s, and American Tales. 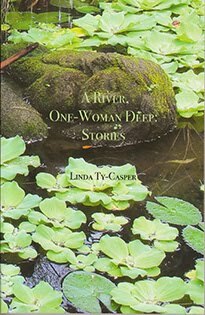 This novel by award-winning author, Linda Ty-Casper, is set in the Philippines during the Marcos dictatorship. 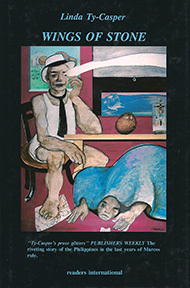 It had been banned from publication in the Philippines and was first published in England. The story takes place during the three-day wake of Gil Severino whose body is mysteriously in a closed casket. Ty-Casper examines the lives of the mourners who grapple with their own issues during this tumultuous political time when "salvaging" or brutal political murders occurred in the Philippines. 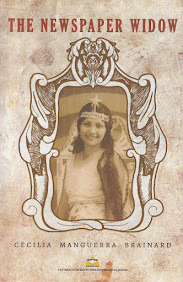 Cecilia's Diary: 1962-1969 is a faithful record of Brainard's days as a young colegiala in the Cebu, Philippines. It is refreshing and funny, replete with references to a religious upbringing and a privileged lifestyle. The diary is a look back at a special era, the 1960s, a time when young girls wore party dresses made of breathless organdy that went with "flowers, ribbons, pearls, diamonds." Jack Kennedy was assassinated, Chubby Checker came, interesting Peace Corps Volunteered arrived in town, "Birdman of Alcatraz" was shown, guileless children played jackstones, the Vietnam War was stepped up. 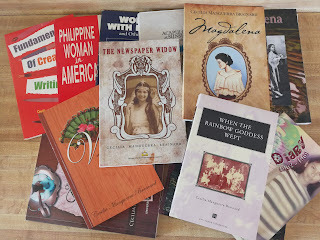 Fiction by Filipinos in America is a highly acclaimed collection of stories by established and emerging Filipino and Filipino American writers. World Literature Today says, "(Editor) Manguerra Brainard's selection is a delight. Some of the stories are masterly, especially those written by such reliables as Carlos Bulosan, Linda Ty-Casper, NVM Gonzalez, and Albert S. Florentino. None is less than highly competent, and all are worth reading. Manguerra Brainard has done an excellent job of mixing critical judgement and personal taste." Fundamentals of Creative Writing is a powerful resource to encourage students and/or aspiring writers to strive for excellence in their writing skills. Not only does it guide readers through the basics of setting, scene, character, conflict, dialogue, plot, point of view, voice, style, theme, and tone but it also provides useful activities that challenge the writers to get their creative juices flowing. Brainard's treatments of writerly voice and left brain/right brain theory as it connects to writing are among the best available in today's writing textbooks. Her story samples cover a variety of story types, techniques, points of view, and historical as well as contemporary topics and themes. This book will indeed help writing students write strong stories and improve their craft. BOOKLIST says, "The stories are delightful!" 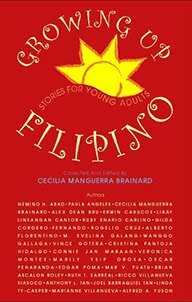 while School Library Journal says, "These 29 short stories offer a highly textured portrait of Filipino youth and an excellent sampling of creative writing." 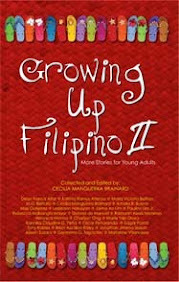 Growing Up Filipino II: More Stories for Young Adults is the second volume of the Growing Up Filipino series by PALH. In this collection of 27 short stories, Filipino and Filipino American writers explore the universal challenges and experiences of Filipino teens after the historic events of 9/11. The modern demands do not hinder Filipino youth from dealing with the universal concerns of growing up: family, friends, love, home, budding sexuality, leaving home. The delightful stories are written by well known as well as emerging writers. While the target audience of this fine anthology is young adults, the stories can be enjoyed by adult readers as well. There is a scarcity of Filipino American literature and this book is a welcome addition. 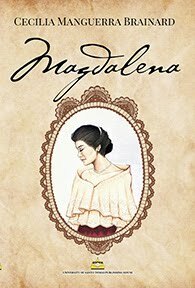 Magdalena is a powerful novel about the lasting effects war has on people’s lives. Playing with time and point of view, multi-award author, Cecilia Manguerra Brainard, explores the loves and secrets of three generations of women in the Philippines from the time of the Philippine American War, World War II, and Vietnam War. Magnificat: Mama Mary's Pilgrim Sites collects 24 Marian devotees' accounts of their experiences in Marian pilgrim sites. The sites are found in Bosnia-Herzegovina, Eritrea, Ethiopia, France, India, Mexico, Poland, Portugal, Spain, Turkey, the United States, and there are eight pilgrim sites in the Philippines. The book includes short writeups of other international pilgrim sites and some Catholic prayers. Archbishop Tagle of Manila has issued an Imprimatur for the book, Magnificat: Mama Mary's Pilgrim Sites. Out of Cebu collects 28 essays by award-winning author, Cecilia Manguerra Brainard. 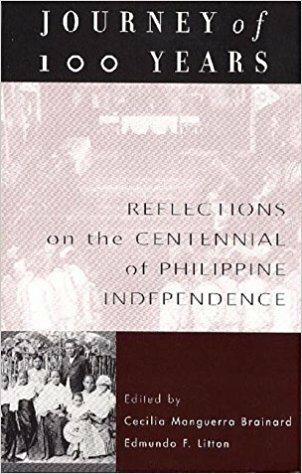 Many of the essays are about Cebu, Philippines: its history, the places to see in this southern Philippine city, her experiences growing there, and colorful accounts about her mother's family, the Cuencos, a powerful political family in Cebu and the Philippines. There are also travel and food essays, all told from Brainard's unique point of view of a Cebu-born writer now living in the United States. 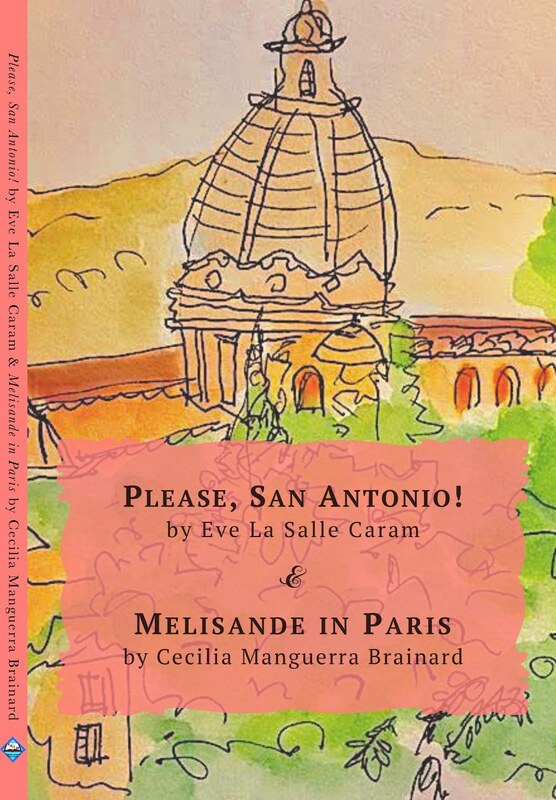 In this, her third collection of short stories, Cecilia Manguerra Brainard shows an uncanny talent for speaking in varied voices that bridge time and place: she is at home in Vigan, the mythical Ubec (Cebu), Sagada, Manila, Cusco, Peru, Calcutta, Chartres, California, bringing each location alive with loving detail. She speaks as a school girl, an older woman, a love-struck boy, a stolen child, an underground revolutionary. She writes of her own family and childhood with love and sadness and a deep sense of humanity. The book collects 20 stories by the award-winning author. This highly-acclaimed novel, set in mythical Ubec, Philippines during World War II, is a lyrical portrayal of a girl's blossoming into young womanhood. Publishers Weekly notes that "the strengthening of the national spirit; the loss of innocence in two generations -- these themes are explored by the author... with persuasive conviction and stark realism. This is novel by award winning Filipino author, Linda Ty Casper about Johnny Manalo who returns to the Philippines after a thirteen-year absence. By this time, Aquino has been assassinated and the country is immersed in corruption. The novel focuses on his inner thoughts; the horrors of the twilight years of the Marcos regime glow through the haze, making the book significant. "Woman With Horns and Other Stories" is the first collection by award-winning author, Cecilia Manguerra Brainard. The book has a dozen fascinating stories that take the readers back to a Philippine past, historical and contemporaneous, against a backdrop of legend and superstition. In these stories, the East and the West meet, and it's no big deal. In a role reversal of sorts, the Filipino woman is not shy. They know what they want and get it. It's the American men who appear distracted and uncomfortable with their secret need. Fun reading!